Celebrity iPods programmed with their favorite songs will be up on the block for the next several months to benefit Gulf Coast charity Music Rising. Wonder what Britney Spears has on her iPod? Curious fans willing to spend some bucks can soon find out. Spears, talk show host Ellen deGeneres and former President Bill Clinton are among a group of A-listers raising money for charity by auctioning off iPods they've signed and programmed with their favorite songs. Fans can bid on their favorite celeb's iPod at www.tonic.com, the charity Web site that's hosting the auction, to be conducted through eBay. All proceeds will go to Music Rising, a foundation founded by members of U2 that was created to bring music back to the Gulf Coast area after Hurricane Katrina's devastation. Bidding on Spears' signed iPod, which includes two Madonna songs, "Like a Virgin" and "Holiday" and Prince's "Kiss" and "Purple Rain" on the playlist, is up to $851. DeGeneres' playlist features the Rolling Stones, John Lennon and Stevie Wonder and is selling for $1,525. Clinton's iPod is set to go on sale in early March. The iPods of actress Scarlett Johansson, celebrity chef Mario Batali and NFL quarterback Tom Brady will also go on the block. 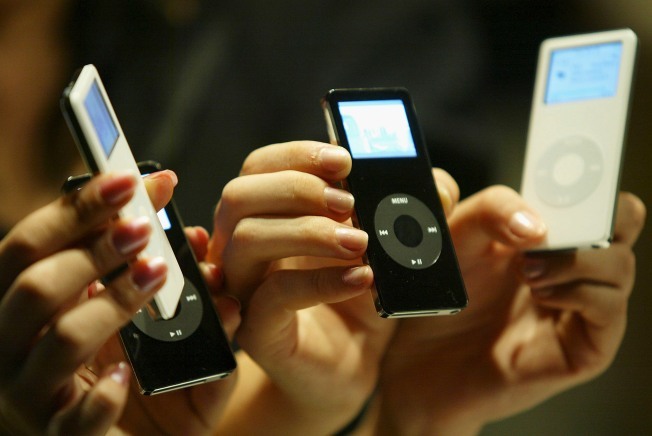 Winners of the silver iPod Nano models also receive a $25 iTunes gift certificate.